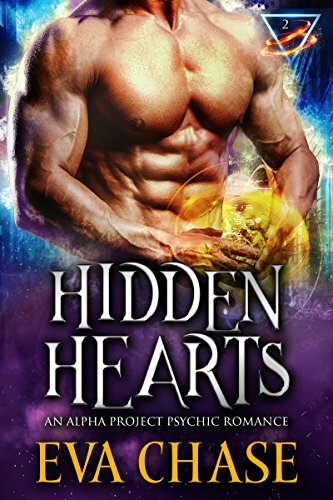 I really liked the sound of this and saw that if I went to Eva’s website I could get the prequel novella Burning Hearts, free. Its also on amazon. That gave me an insight into alpha Project and Nicks family. Stupidly I missed there was another book before this one, but I was still able to follow this story easily and have borrowed the first book via KU. Its a fabulous story, scary in that its all too believable, that some wealthy organisation is trapping and experimenting on those with psychic talents. The prequel sets pout the parents story and escape and this series seems to be about the brothers meeting people for themselves. Poor Nick has the misfortune to get feelings for Carina, who’s working for AP, using her talents to help track down Nicks family, having been told lies about how dangerous and murderous they are. Even though the story was short for me I still want to continue with what is going to be an excellent series, and as I said I’ve now borrowed book one so can catch up with whats gone before. Stars: Four, a really interesting series, just wish it was a bit ;longer and I could see characters and plots in more depth.